Withdrawal symptoms of alcohol abuse can start as early as 6-24 hours after last drink was ingested. Serious interest in recovery is often upset because of the severe withdrawals that can be experienced when in a state of detoxification from alcohol. The first steps to recapturing freedom from alcohol dependence are not easy, but are worth taking. 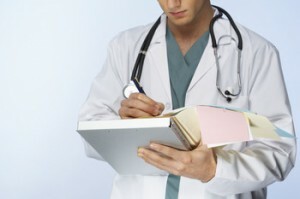 Your doctor may prescribe medication to help you during alcohol addiction treatment. Detoxification is a set of interventions focused on managing acute intoxication and withdrawal. It is defined by a clearing of toxins from the body of the addict who is acutely intoxicated and/or depend­ent on substances of abuse. Detoxification minimizes the physical harm caused by the abuse of substances. Detoxification alone is not sufficient in the treatment and rehabilitation of substance use disorders. Beginning the process of detoxification alone while experiencing symptoms that can range from mild to severe, versus in a setting where those symptoms can be alleviated by medications hardly seems preferable or likely to encourage success. Symptoms can range in severity and onset, based on the individuals habits of drinking and changes to those habits. There are pros and cons to adding medications to your treatment plan. Pharmacological treatment generally is only involved in moderate to severe cases of alcohol withdrawal. There is no general consensus by Clinicians on the ideal medications and prescribing schedules for the treatment of alcohol withdrawal. Medicinal treatments seem to vary by country and also per the severity of the withdrawal symptoms being treated. Benzodiazepines (BZs): (ex: Valium, Serax) are favored in the U.S. They are sedatives prescribed widely for treatment of anxiety, insomnia, seizures, and alcohol withdrawal. Benzodiazepines do have negative side effects including confusion, incoordination (ataxia), and over sedation. Andrenergic medications have shown to be of help when they accompany BZs, but not when they are administered alone. They seem to be prescribed as an adjunct when there are other complications due to pre-existing conditions. Anti-seizure Medications: (ex: Tegretol, Depakene) are favored in Europe and seem to be less sedating and are reported as having no abuse potential. Until recently, the medications available treated only the symptoms of the withdrawal, and not the actual disorder. But advances in research appear to be changing the face of the options available to treat alcohol dependency. For the first time in alcohol addiction research – and a first in the entire field of addiction treatment — UVA investigators have successfully treated alcohol-dependent individuals with medication that is tailored specifically to match their genetic profile.